Steel has a multitude of product applications and these applications are usually guided by the grading of the steel and the certificates it carries. As a measure to reduce manufacturing and storage, most steels now carry multiple certificates which means the steel consumer has a choice. Recent studies have also shown that Stainless Steel is becoming the metal of choice in more and more products be that steel pipe for water, steel posts for holding up your garage or steel gargoyles on your building. Awareness of steel certification is also essentially important. It has both advantages and disadvantages in cost and metal properties. The upcoming factors are qualities found in the most excellent suppliers. 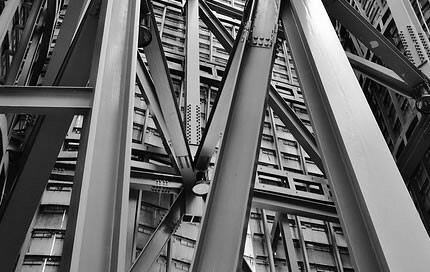 There are many types of steel, low carbon steel, medium carbon steel and high carbon steel are the major groups, and they are defined by their strength, resistance and formability, generally speaking the higher the carbon content the more impact resistance and the less formable a steel product is. What separates Stainless Steel from all of these, however, is the presence of Chromium in its composition. Like Copper, Chromium oxidises when it comes into contact with air, but unlike Copper, which tends to tarnish, Chromium creates a thin, resistant layer which protects the metal underneath and can be polished to a nice shine which is easy to maintain through light buffing. Stainless Steel is also a poor conductor of Electricity, like other types of steel, but unlike other types of steel and because of the Chromium additive it is rust resistant as moisture cannot penetrate the Chromium(III) Oxide layer. Traditionally, Stainless Steel is used in Kitchens, for sinks and cutlery. This is predominantly down to, not only, the ability to keep the metal looking ‘clean’ with some light polishing but because it is cheap to make, easy to manipulate and, because it is steel, can be formed into long continuous sheets which is good for creating an unbroken surface – such as a work bench or a sink basin. The Chromium layer is also resistant to abrasion and is extremely hard to remove so it is safe in a food preparation environment too. Clean,cheap, water resistant, easily manufactured. Maybe this is simply it. It certainly explains why it is used in Kitchens. We are now seeing it produced to make Steel Posts for use in gardens, instead of wooden posts and in modern structures. Cost seems the obvious reason but maybe there is an aesthetic reason too. Buildings like the Chrysler building have its statues made out of stainless steel, this gives the building its shine and art-deco look and because Stainless Steel is non-conductive, ensures that the lightening rod is hit by lightening and none of the other metal parts. You could also argue, that aesthetically, with so many buildings now displaying their pipes on the outside to increase space inside that rust resistant, shiny Stainless Steel pipes are more attractive that tarnished or chrome plated ones. It seems obvious that the increase use of stainless steel is down to tighter budgets and a desire for more funky art deco ornamentation. Jake Hyten is the MD for a large steel manufacturing and fabrication company. He has noticed the increased popularity in using stainless steel for items such as Metro steel posts over the last five years.